The lying unaccompanied children revealed by the Swedish authorities! LYING, SWINDLING, CHEATING – THE SKILLS OF A MODERN REFUGEE! 581 ‘unaccompanied children’ that recently arrived to Sweden and voluntarily agreed to undergo a full scaled age-test have now got their results! May 30, (2017) the Swedish National Board of Forensic Medicine published a scientific report, which contents should get any righteous person out of the chair and march against the government! In 442 cases the clinical research show that the persons (12 women and 430 men) are older than 18 years, and therefore ought to be considered as adults. In 5 cases (only females) the persons are described as possible older than 18. In 134 cases the forensics says that the analysis opens a possibility for the persons being under 18 years of age. 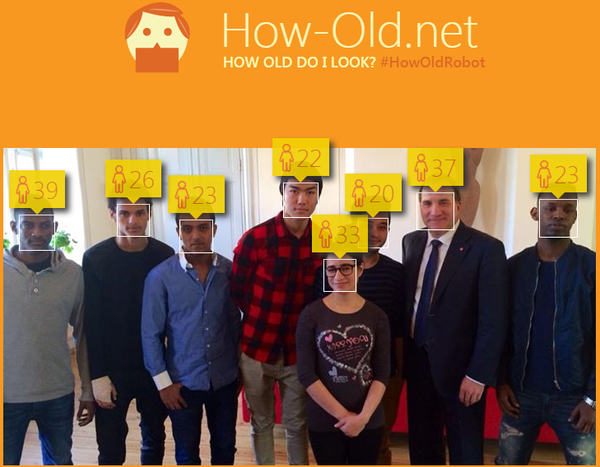 The Swedish prime minister Stefan Löven back the liars by posing with them! The figures from the institution however, clearly display that 76% (442 people) have been lying about their age. 1% (5 people) maybe lied about their age. Only 23% of the volunteers tested told the authorities the truth about their age! Only 4% were females. 96% were males! A UNHCR survey states that only 2.7% of all the asylum-seekers arriving Europe during the recent years are genuine refugees. The rest are fortune-hunters. The figures reveal that 77% of the test-volunteers obviously have been lying about their age to achieve all the advantages (learned from traffickers) a child is entitled to according to the Swedish rules. The first question that pops up after the publishing of this clinical examination is: How many of the rest of these young soldiers of fortune, who did not volunteer the test, do you think lie about age and origin? Facts: During 2014-16 more than 45.000 asylum-seekers claimed they were children without family in Sweden according to the Swedish Migration Agency.